The Decemberists' next album, I'll Be Your Girl, releases March 16, 2018. 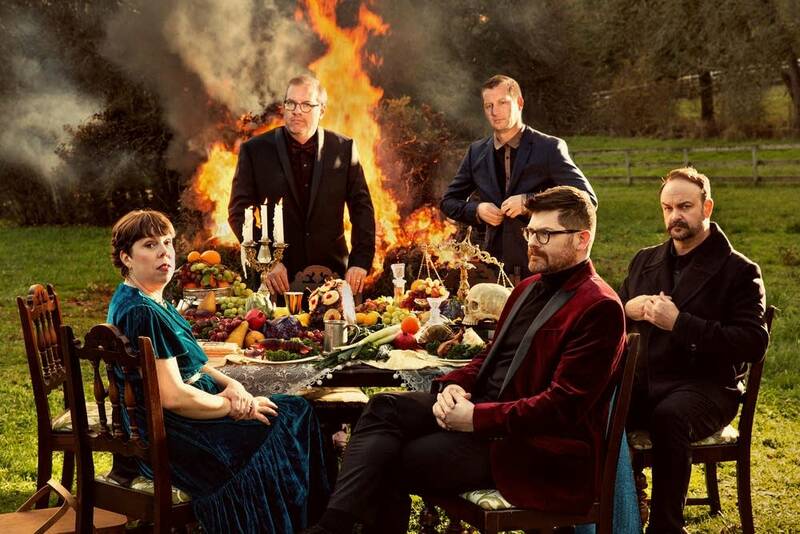 For this new release, Decemberists front man Colin Meloy explains how he and the band strove to break out of old habits. "We made an effort to really inspect the choices that we were making each time, and make sure it felt exciting," Meloy says. In the run-up to the new album release and their Twin Cities tour stop, The Current's music director David Safar spoke with Meloy about the album and its lead single, "Severed." DAVID SAFAR: We're on the phone with Colin Meloy of the Decemberists. 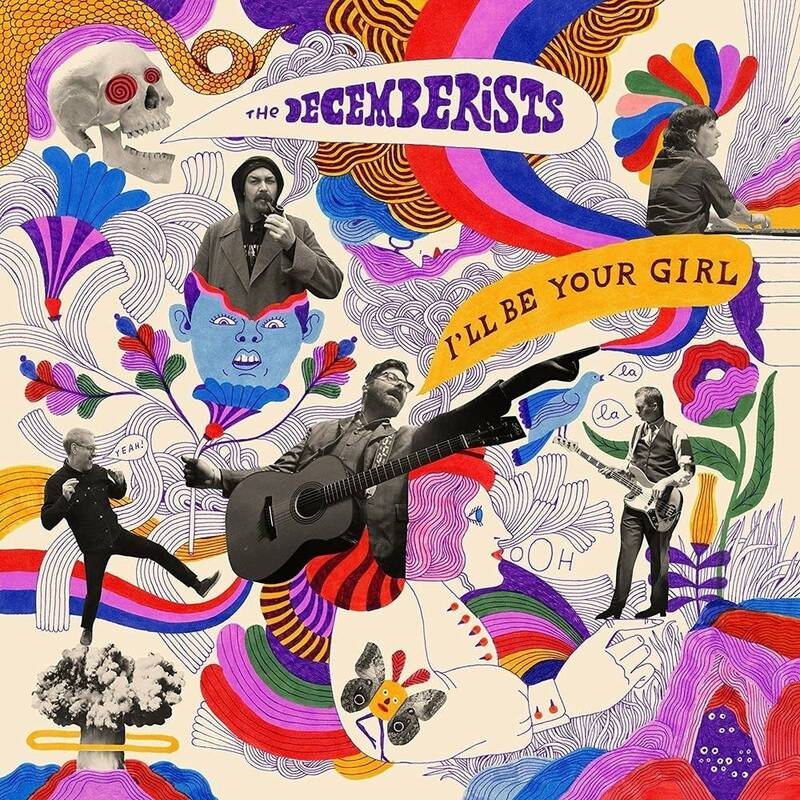 The Decemberists have just announced a new album, I'll Be Your Girl, it's coming out on March 16. Colin, where are you calling us from today? COLIN MELOY: I'm in Portland, Oregon. Just south of Portland, Oregon. Just outside of town. DAVID: Your hometown. I have a question for you about living in Portland: what is it like on January 20 each year, when it is the Decemberists Day? 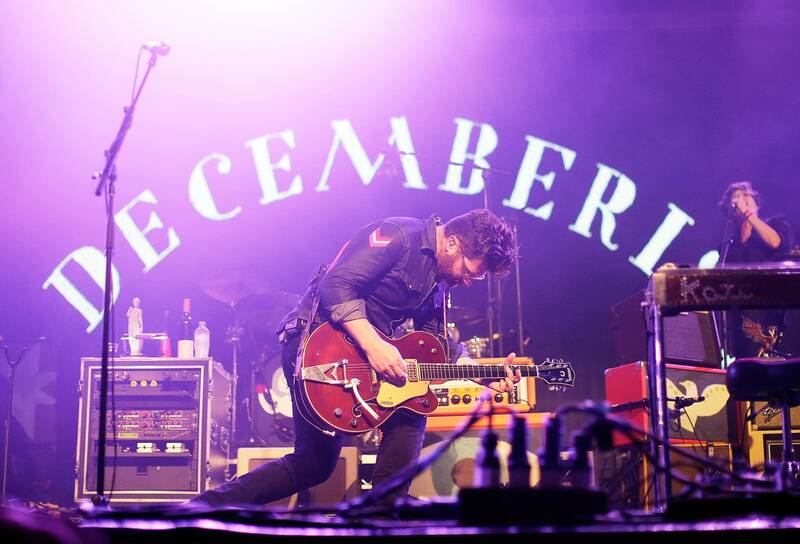 COLIN: I think somebody wished me a Happy Decemberists Day just a couple days ago on the 20th, but I believe that it was January 20, 2015, the only Decemberists Day. And then furthermore every January 20; I think if you can hold it in your heart and celebrate it in your heart, but I don't think it's any longer an official day. DAVID: So you don't hear your own music as you drive through the streets of Portland is what you're saying. COLIN: No more than you would on any other day, I guess. DAVID: In a press release that was sent out about the new album, you said that you worked on getting out of your comfort zones and you get to form some habits after 17 years in a band. What did you do to push yourselves into a new area when making this new album? COLIN: During the writing, maybe being a little more critical of choices I was making. Making an effort to … I don't know. It's that thing of coming at it with the beginner's mind, which I think is a [unintelligible] idea, where you're kind of removing yourself, your experience, and trying to come toward any kind of activity or art as if you were beginning. And that's nearly impossible to do, but an effort was made trying to write songs as if I hadn't spent the last 17 years of my life writing songs in sort of a professional capacity. And so a lot of weird stuff came out, some of it more usable than others. And the things that are on the record are the usable things. And then as far as recording, I think we just made an effort, as we were making choices as you do as a band when you're recording, to really inspect the choices that we were making each time and make sure it felt exciting to us or fresh, and avoiding repeat decisions, which is something you inevitably start doing, and trying to bust out of that a little bit. DAVID: Did you have a moment where you caught yourself getting into the routine, and if you did, what did you do to stop yourself? COLIN: We have this incredible keyboardist, Jenny Conlee, who is just like a Swiss Army Knife on keyboards, but so often we find falling into this trap — and it's a good trap, it's a familiar trap of having a piano arrangement and then having a B3 organ come in on the chorus, "org on the chor," it became a sort of inside joke — and so I think that was one instance where it was like, "Let's try a synthesizer, let's try a transistor organ." We had a lot of weird keyboards at our disposal, and it was really just, "Let's kind of do the same things because it is a satisfying and important lift for any song, but let's try a different method altogether." DAVID: When you tried that method and you first heard those synth lines, and I know they've been compared to sounds from a Roxy Music album, did you have a knee-jerk reaction like, "Oh no, this is not us." Was there a hurdle you had to get over? COLIN: I think it felt like it perfectly felt like us, to me. It didn't feel like it was coming from a place that felt uncomfortable. I think any kind of reticence was mostly like, "What are our people going to think." It felt organic and natural to us, people who grew up on Depeche Mode and Yaz and New Order, these bands that were as important to me as any other band when I was first getting into music, and I feel like the influences of their music are present in Decemberists but not always so obvious. So when Jenny and Chris and me, we started messing around with the synths, it felt exciting, it felt comfortable, it felt novel for the kind of music we were making, but also it felt natural and organic, too. DAVID: One of the things that's different about this album is you worked with a producer who you have not worked with on a Decemberists album before, John Congleton, and in the email that you sent to fans in leading up to the release of the first single, you referenced John's "love of cats." Is that how you came to a decision to work together? COLIN: (Laughs) Yeah, we principally interview everybody and see what kind of animals they're connected to. No, that really just kind of came out as we got to know John better, I think his proclivities become clearer and clearer, and that happens to be one of them. DAVID: In all seriousness, though, what led you to work with John Congleton on the new album? COLIN: We knew we wanted to just try something different. We had been working with Tucker [Martine], and it was really difficult to make that move because given my druthers, I think my natural instincts would be to make records with Tucker for the rest of my life. But I also knew that working with Tucker was part of the familiarity we were trying to get away from. I think the way he works might be contributing to the familiar decisions we'd been making. It seemed like a really good way to break out of that zone was to work with somebody completely different; somebody with different impulses and different ears. And so we actually looked at a bunch of different producers and talked to a bunch of people and ended up with John because hanging out with him, he was a good hang and a nice guy, but also hearing the stuff that he's done for other bands, be it the Wye Oak stuff he did or stuff with St. Vincent and with Swans, it seemed like an interesting and exciting direction to go in. DAVID: You're listening to The Current and we're on the phone with Colin Meloy of the Decemberists. Before we listen to the new single, "Severed," I have to ask you about the artwork for the single because it really caught me off guard. Where did it come from? For people listening, it's a skull, it looks like it's laughing and it has swirls in its eyes. COLIN: That is an element from the album cover that Carson Ellis did, who's my wife and who has also done all of the illustration work for the band since the beginning. The process of coming up with the album cover is always an exciting challenge. 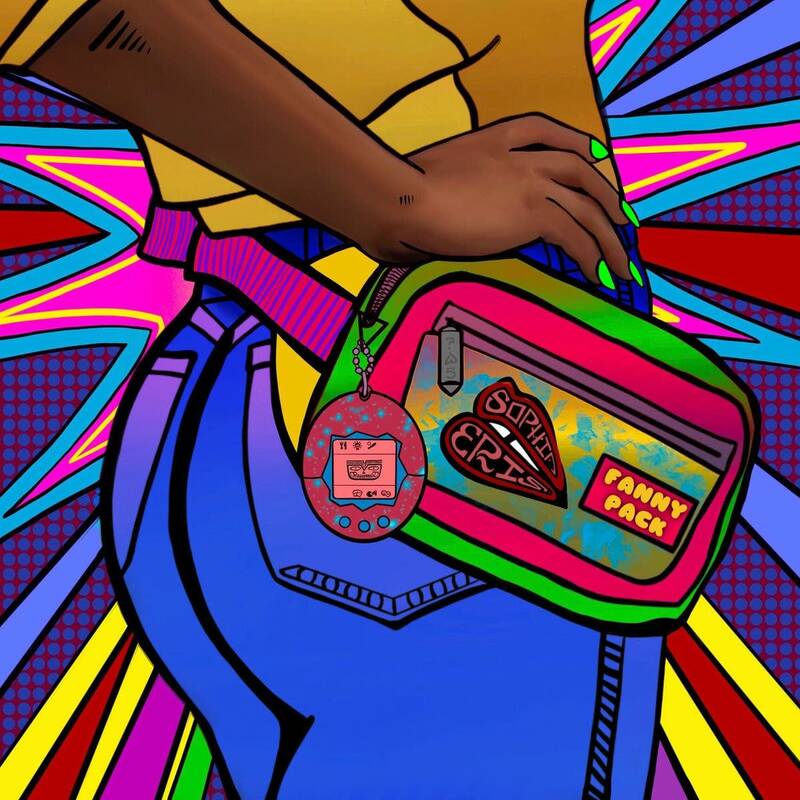 When we're finished working — it's maybe not typical for a band to just work with the same illustrator and designer over and over again — and so we're always similarly trying to do something new and interesting. We wanted to have a combination of some of Carson's illustration work and pen work, pen-and-ink, which we hadn't done in a bit. I think the last few records have been a little bit more painterly. And also combine it with some collage — we dug through some old '60s psychedelia randomly as a reference and just kind of let Carson kind of go crazy, and that's what she came up with. DAVID: You're taking the band out on tour this year, you are going to be stopping in the Twin Cities. You have expressed a love of a band from the Twin Cities and actually you were in Bob Mould's music video back in 2004 for "I Don't Know You Anymore." And we've been talking about Hüsker Dü a lot here at the station with the passing of Grant Hart. How did you discover Hüsker Dü's music? COLIN: Hüsker Dü came to me when I was in sixth grade by way of a mixtape. It was actually my uncle, who was at university in Eugene at the time, who sent me a tape of a local band called the Headhunters, and at the end I think there was extra space and he just threw like five songs on just to fill up the space. And I feel like those five songs totally changed my life, and one of them was "Hardly Getting Over It" by Hüsker Dü from Candy Apple Grey. And I remember going out and getting Candy Apple Grey on the strength of "Hardly Getting Over It," which is a sort of pretty and sad, melodic song. And then getting Candy Apple Grey and the first song was "Crystal," and I couldn't believe it. I remember taking the tape out of my boom box and making sure it wasn't mistakenly I got the wrong tape somehow. But it was one of those moments when you just become so jarred; I think in that instance, my whole idea of what music was and could be and what a songwriter was and what a songwriter could write was [snaps fingers] transformed almost instantaneously, so I have Bob to thank for that, and Hüsker Dü. DAVID: We're looking forward to you coming to Minneapolis. You'll be playing the Palace Theatre for two nights. Can you share any memories of stops in the Twin Cities over the years? COLIN: I remember when we first started touring, I was always excited to go there, being really enamored not only with Hüsker Dü but [also with] the Replacements. We played at the 400 Bar; I don't know if that's still there anymore. DAVID: It actually closed a few years ago. COLIN: And we played there, and I think the brother of [the Replacements'] old tour manager owned the place, and there was kind of a shrine — I don't know if you remember, there was a shrine on the wall to the Replacements, all these pictures. I remember playing there, and actually at the end of the show, the guy gave me one of the framed pictures of Bob Stinson, which I actually am looking at right now. I still have it in my studio. DAVID: That's awesome. We're really looking forward to having you come back to town. We're going to listen to the song, "Severed"; it is a little bit of a dark song. Can you tell us a little bit about what the song is inspired by? COLIN: Well, it's inspired a little bit by the guy who's currently in the White House. I think it was written initially during the campaign, before the election, just sort of exploring that tone of voice that he was taking. The character in the song, the first-person character, is a demagogue, absolutely, so it was an exploration of, "What is demagoguery, and where does it come from?" as we were seeing this very public figure express these kind of insane and incredible sentiments in public. Of course, I think the song took on a different life once he was actually elected. But yeah, it's sort of an exploration of the voice of a demagogue, and so hopefully people will find it reviling. I can only hope. DAVID: With your music, Colin, sometimes things are literal, sometimes they are not. So what I'm wondering about is, as you were writing this album and as the political landscape was changing as you were writing, did you feel a need to directly address the world around you? COLIN: I think I was just reacting naturally as anybody would to what was going on and being particularly attuned to it, I think like a lot of people, and being in shock and dealing with my shock. And so that inevitably found its way into the music. I didn't set out to write an overtly political record, because I don't know that I feel like my voice is necessarily the one that needs to be heard in kind of quote-unquote protest music. So I'm sort of leery as a white, straight male to be writing protest music. I don't think of myself as writing that, but I do think of a lot of the songs on the record being my own kind of experience and introspection in relation to what's going on in the political climate. DAVID: Well, we look forward to the rest of the album when it's out on March 16. It's called I'll Be Your Girl and this is the Decemberists with the song, "Severed." Colin, thanks so much for being on The Current today. COLIN: Thanks for having me. I'll Be Your Girl releases March 16, 2018, on Capitol Records. Interview transcribed by Luke Taylor. The Decemberists perform in The Current studio The Decemberists have done a Theft of the Dial, and they headlined at Rock the Garden 2009. But they'd never done a proper in-studio session at The Current until this week. Jill Riley welcomes the Portland, Ore., indie rockers into the studio for a live session and interview. The Decemberists perform The Hazards of Love at Rock the Garden 2009 The Decemberists perform The Hazards of Love at Rock the Garden 2009 in Minneapolis. The Decemberists perform Crazy on You at Rock the Garden 2009 The Decemberists perform Crazy on You at Rock the Garden 2009 in Minneapolis. The Decemberists perform The Rake's Song at Rock the Garden 2009 in Minneapolis. The Decemberists perform The Rake's Song at Rock the Garden 2009 in Minneapolis.